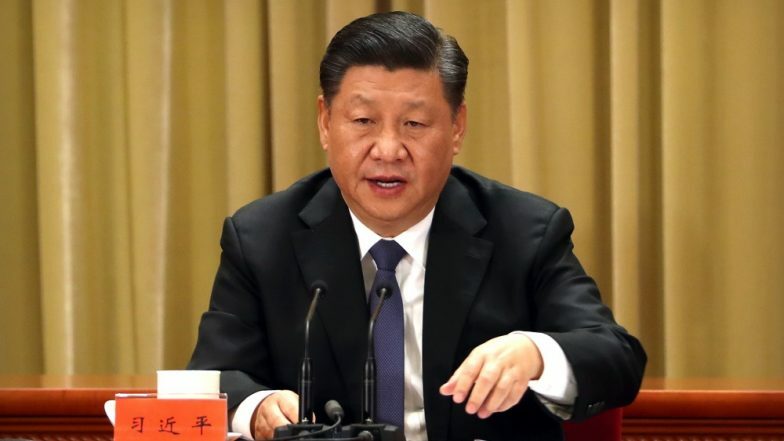 China is making its citizens download an app promoting President Xi Jinping and his Communist Party. People can earn points using 'Study the Great Nation' (Xuexi Qiangguo) by watching videos of Jinping's international visits or answering questions on economic policies. Critics are of the opinion that the app is engineered by Communist Party officials. It is said that the app pressurises citizens to use it and punish those who ignore it. With the pressure mounting on citizens to use it, the method is being compared to China's former leader Mao's Little Red Book. During the Cultural Revolution of the 1960s and 1970s, the book was widely distributed among people. 'Study the Great Nation' is the most downloaded app in Apple Store's China region and state media claims it has more than 100 million registered users. The app was developed by technology giant Alibaba and launched earlier this year. Beware! 85 Malicious Android Apps Removed From Google Play Store; Here's How You Can Save Your Smartphone From Fake Apps. Thousands of Community Party officials have received orders to ensure that citizens use the app. As the app gives scores to their users, certain schools are criticising their employees with low scores. Reportedly, some employers have made it compulsory for their employees to submit daily screenshots to document their progress on the app. And if the app is not frequently used, their pay is deducted. In fact, employees with the title of 'star learner' are awarded as top performers. According to the New York Times, students with low scores on the app are shamed in schools. The app is said to be Xi's attempt to spread his propaganda all over China. Following his rule, there has been a crackdown on free speech including internet search and even memes. The app requires a mobile number to register and a national identification number for certain features.